I learned how to cook Cornish hens many years ago. I wanted alternative entrees for holidays and special occasions. After serving these small chickens as individual servings to my family, they quickly became a hit. These little chickens are an American hybrid crossing Rock Cornish game hen with the White Plymouth Rock chicken breeds. Even though all are referred to as “hens” they can be either female or male. NOTE: One half (For children and sometimes women) or one whole Cornish hen is adequate serving size. NOTE: Check and remove all parts from the cavities of Cornish hens before washing with fresh water. 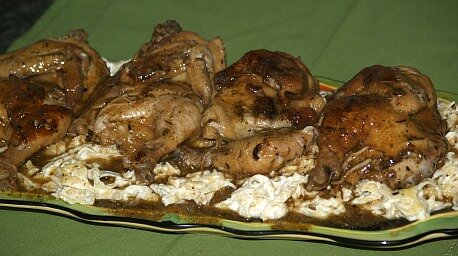 I learned how to cook Cornish hens using many different recipes. I like the presentation of these individual servings but there are other reasons I like these little birds. Like chicken, the meat which is all white is preferred by many people. If you want a special dinner, these are perfect for any occasion. 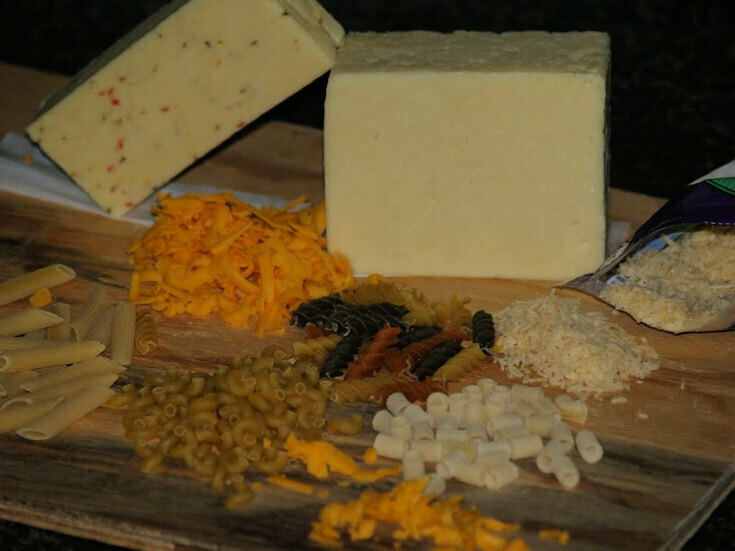 Although the cost per serving might be greater than other entrees you serve, you can purchase only what you need. 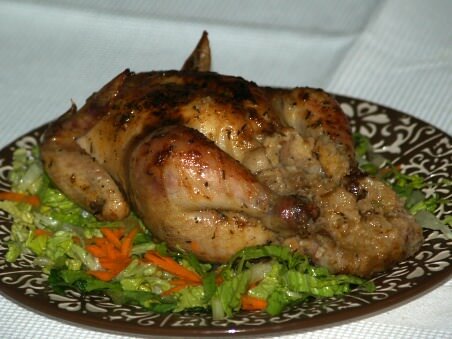 If you do not like leftovers, Cornish hens make a great choice over a turkey or ham. Another advantage of these little chickens over ham or turkey is that they require less cooking time. Although whole Cornish hens make a beautiful presentation, problems might arise when serving and eating. Caution should be taken on your method of serving because they have a tendency to slide off the plate if not careful. 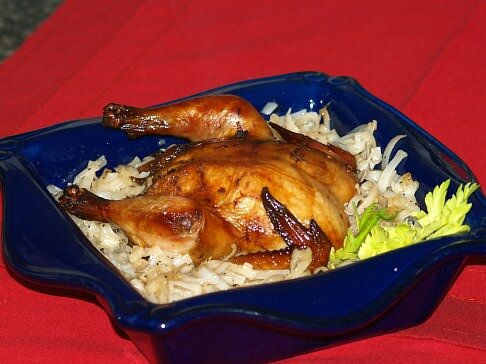 The best way is to arrange the bird in a rounded “bowl like” dish and then place it on a matching plate. Place shredded lettuce or other greens under the hen to keep it in place. You might also ask your dinner guests if they would prefer the hen to be cut in half before serving. Picking up and eating these little birds with your fingers in totally unacceptable! NOTE: Each average size Cornish hen will hold about 1 cup of stuffing. Many people have learned how to cook Cornish hens in the microwave. Because they are so small (usually about 20 ounces) it is quite simple. Place one or two hens on a microwave safe rack set in a baking dish (About 8X12 inches in size). Cover with a piece of wax paper and cook on high about 14 minutes or until the juices run clear rotating the dish once during the cooking. Let stand 5 minutes still covered then serve. NOTE: I found that my kids were also happy that I learned how to cook Cornish hens. When my children were young, they really liked these little “chicks”. A half was usually enough for them back then. 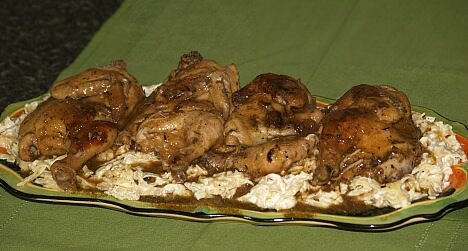 Learn how to cook Cornish hens Italian style and served with noodles. Combine and mix all seasoning ingredients; rub on inside and out of the hens. Melt butter in large Dutch oven and add oil; brown hens. Add wine and cover; simmer about 45 minutes until tender. Move hens to warm platter, cover and keep warm. 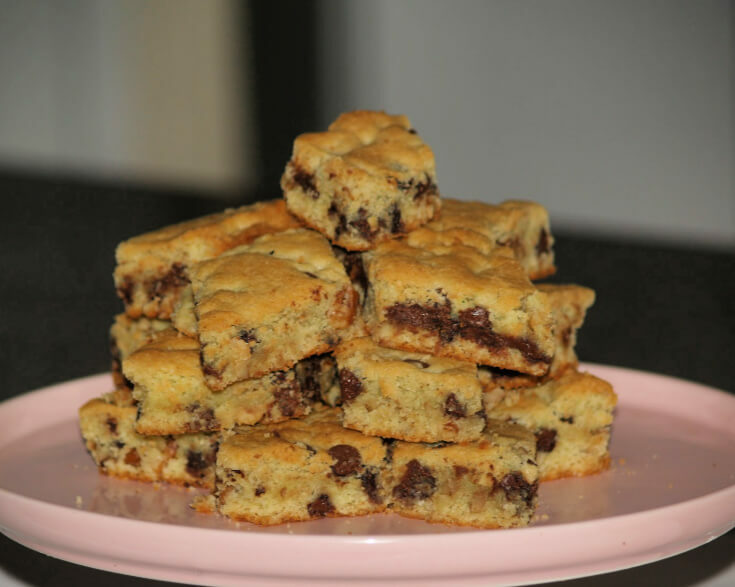 Mix flour with warm water; stir into pan juices until bubbly. Mix hot noodles with grated cheese and sour cream; add paprika and season with salt and pepper. Serve hens and sauce over hot noodles. Learn how to cook Cornish hens that are stuffed with pecan stuffing. Wash hens with fresh water and pat dry; sprinkle inside cavities with salt and pepper. Fill cavities with pecan stuffing and close cavity; brush hens with butter and sprinkle with pepper. Combine remaining melted butter with brandy; bake for 1 to 1 ½ hours until juice run clear when pierces in the thigh with a fork. BASTE frequently while baking with brandy butter mixture; garnish and serve. COMBINE juice, brandy and butter in small saucepan; heat until butter melts. 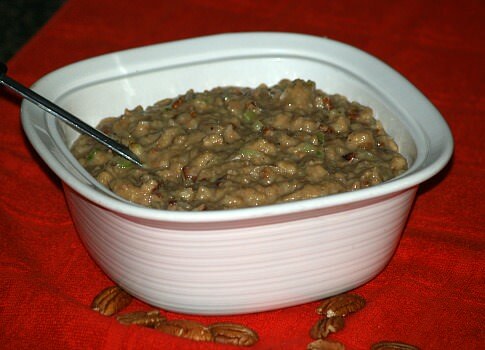 Stir in stuffing mix and pecans; fills 4 Cornish hens. Learn how to cook Cornish hens with this thyme chicken recipe. Place the hens on a wire rack in a large roasting pan. Combine in a bowl the lemon juice, butter, paprika, 1 teaspoon thyme, 1 teaspoon seasoned salt and 1 teaspoon garlic powder. Pour half of the mixture over the hens; set remaining mixture aside for basting. Combine salt, pepper, remaining thyme, seasoned salt and garlic powder; sprinkle over the hens. Bake uncovered for 30 minutes basting with remaining lemon juice mixture. Bake 30 minutes longer or until tender; baste occasionally with pan juices. Learn how to cook Cornish hens that are flavored with lemon. Rinse hens with cold water inside and out; pat dry. Grate 1 teaspoon lemon rind; cut remaining lemon in thin strips. Combine grated lemon rind, butter, mint, salt and pepper; rub mixture over hens. Place hens with breast side up in a shallow pan; bake 1 hour or until juices run clear when thigh pierced with fork. NOTE: Baste every 15 minutes with pan drippings while roasting. Sauté lemon rind strips, onion and garlic in oil for 5 minutes. Combine broth, lemon juice, cornstarch and water in a small saucepan; stir well. Cook over medium heat stirring constantly until sauce is thickened. 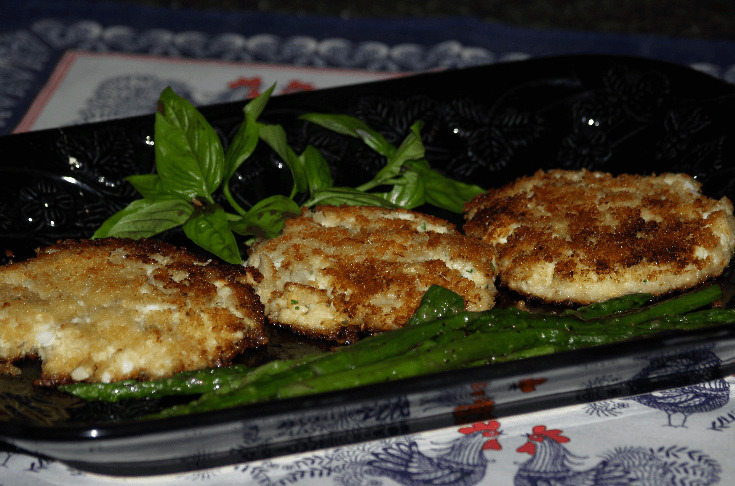 Stir in sautéed mixture and serve over hens; garnish with mint sprigs. Learn how to cook Cornish hens with stuffing. Melt butter in skillet; sauté mushrooms about 5 minutes stirring constantly. Remove from heat; add zucchini, cheese, green onion, salt, pepper and cooked rice and stir well. 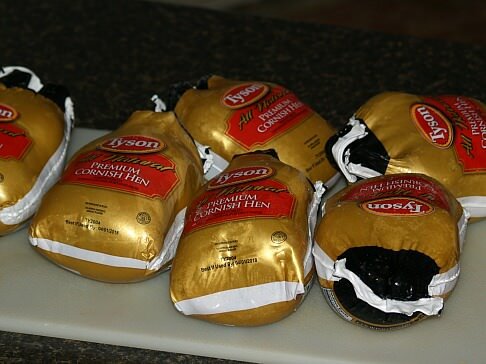 Fill the cavity of each Cornish hen with half of the stuffing; tie legs and tail of each with kitchen string. Brush each hen with melted butter; combine stuffing mix and paprika on wax paper and coat hens. 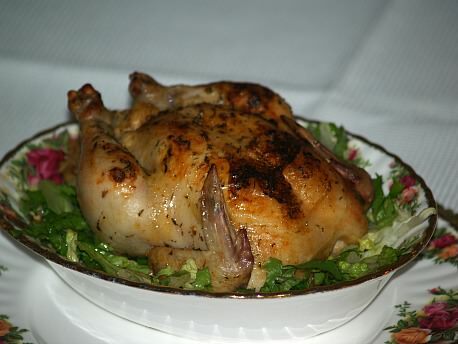 Place hens in a greased baking dish; bake about 1 hour or until juices run clear when pierced with a fork. Remove string from hens and serve; serves 2. 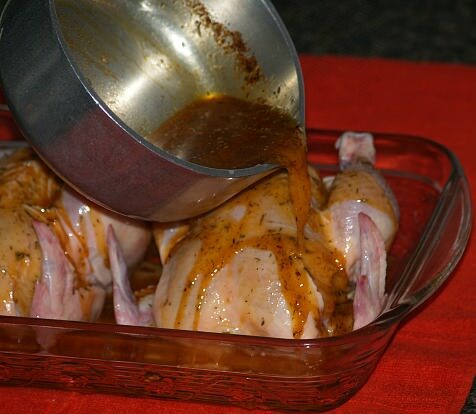 Learn how to cook Cornish hens with a fabulous orange glaze. 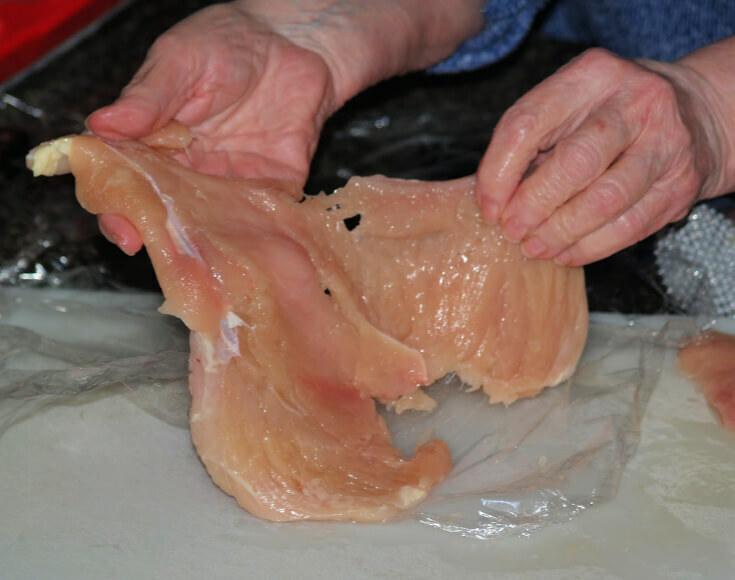 Rinse hens with fresh water and pat dry; combine all seasonings and blend well. Sprinkle insides of cavities with half of seasoning. Brush outsides with melted butter; sprinkle with remaining seasoning. Place hens breast side up on a rack in a shallow roasting pan. Pour a little water in bottom of the roasting pan 1/8 to ¼ inch deep. Bake for 45 minutes; brush hens with butter and spoon 1 tablespoon of marmalade on each breast. Bake additional 35 to 45 minutes until juices run clear when thigh is pierced with a fork. Cut hen evenly in half; rub inside and outside with salt and pepper. Heat oil in a large skillet; add hens and brown on all sides and drain on paper towels. Place chicken stock in saucepan and bring to a boil; add onions. Combine rice and its seasoning packet with walnuts; place in 9X13 inch baking dish. Stir in boiling stock with onions; arrange the hens on the top. Brush the hens with HALF of the apricot preserves; cover tightly with foil and bake 45 to 60 minutes. Remove from oven and brush hens with remaining preserves. Bake uncovered additional 10 minutes until all liquid is absorbed. This is how to cook Cornish hens in a smoker. You can also cook them in the oven. Place rinsed hens in a large plastic freezer bag. Combine and blend marinade ingredients; pour over hens in plastic bag. Bring smoker heat to 200-225F degrees; cook hens for 1 ½ hours or until thigh meat is soft when squeezed.